Another year is coming to a close, a time when I like to look back over the past twelve months and evaluate where I am. Sometimes I don't like what I see, but every step I've taken in life was necessary to put me where I am now. Where am I now? Content. More content than I've ever been. I have a home, friends and family who love me, and good job with people I'm proud to work with. I make mistakes, sometimes I stumble and fall, but the year is ending on a happy note. That said, there have been sad times too. I started 2018 with people in my life who won't be here in 2019, though the opposite is also true. I mourn the loss of those no longer with us, and welcome those new to my life, whether they are here for a reason, a season, or to stay. 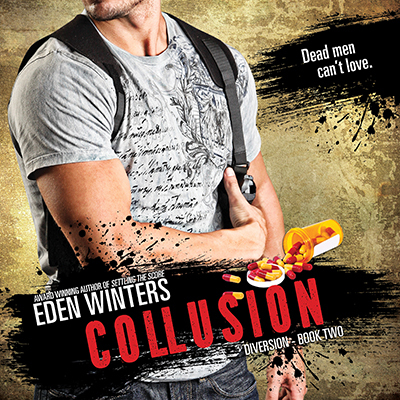 Eden Winters didn't publish any novels in 2018, though Edie Winters launched Saying Yes, an MFM menage, friends-to-lovers story featuring a woman and her twin neighbors. Don't worry though, I'm starting the year off with a bang, releasing the seventh installment of the Diversion series. Two more to go to wrap up the story line. 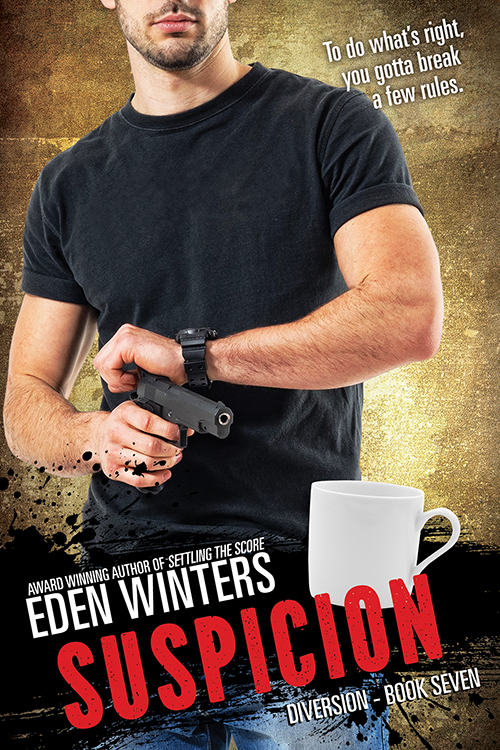 I'm also hard at work on an Eden Winters sci-fi, which I hope to release by next summer, then dive back in for the final stretch of Diversion. I stuck my toe into the audiobook pool this past year, working with the super-talented Darcy Stark to bring Highway Man, Diversion, and Collusion to life. In last January or early February, look for Corruption on Audible as well. I really love how he gives voice to my characters. I attended GRL in October, hung out with old friends and met new ones, and left my home subdivision neighborhood and 20 minute commute for farm life and 1.5 hours one way to work. I've put the time to good use, plowing through audiobooks like nobody's business. If only I could dictate books while driving. I'm working on that with Dragon. Anyway, good and bad, it's been a pretty good year. I know they'll be bumps along the way, but the one thing I can count on to make life run smoother is a positive attitude and lots of support from those around me. With all my heart I wish you and yours the happiest of new years. As the year draws to a close and once again we embrace old traditions and build new ones, I look back over the many Christmases of my life. Some carry nothing but happy memories, others not so much. I miss those who are no longer here to celebrate the holidays with me, while greeting the new folks who are just now entering my life. All are precious to me. This year has had its ups and down, but is ending on a bittersweet note. I'm fortunate that my life is going well, I'm relatively healthy, I have a good job, I'm surrounded by family and friends who love me, and my writing frees my soul. However, there are those I know who aren't so lucky. It's at this time of year that I miss my sister the most. Some of my fondest holiday memories are of the two of us singing Christmas songs, her sweet soprano blending with my alto while she played the piano. My favorite is Silent Night. If you're a fan of the Diversion series, you'll know that Lucky spends some time agonizing over the Southeastern Narcotics Bureau's Memorial Page on the Internet while he contemplates his (or Bo's) mortality. Sadly, this isn't merely a construct of my imagination. The DEA has such a memorial page. I've had my heart broken by each and every loss. They've lost folks to helicopter crashes, shootings in the line of duty, heart attacks, and even car wrecks. As Lucky states, someone left home that morning and didn't return. I've read every story on the page, held my own personal moment of silence for each life cut short. Although I write about a fictional organization, the trials narcotics agents face are very real, and I have the deepest respect for anyone who puts their life on the line for the greater good, and the families and friends they leave behind. Without brave souls like these, where would we be? Yay! At Long Last, Suspicion (Diversion Book 7) is on Pre-order at Amazon! Been waiting for your Bo and Lucky fix? Well, the latest installment of their story is now available for pre-order at Amazon. "If you want to sell books, establish your brand, stick to it, and even make sure your book covers all look similar as it's part of your brand." I've also been told to stick to contemporary romance. My mind doesn't work like that. Although I make every effort to give readers what they want, my best known works are those of the Diversion series. Yes, there's a loving couple, but it's also a crime drama, with plots drawn from current headlines. Is it contemporary romance? Maybe. And it requires one heck of a lot of research. First and foremost I want to give readers a well-crafted story from my heart. Right now my heart is firmly fixed on planet Akiak, where a sentient star ship and it's human pilot rescue a man who is more than he seems, and become "more" by the minute. My heart is also attuned to Bo and Lucky and crafting the next installment of the Diversion series. Two more to go! It's been an awesome adventure, one I'll miss terribly once it's over. If the advice I've been given is correct, I'll never write a best-seller, and never be able to leave my day job for a writing career. Hearing that one reader say, "Diversion is my favorite series", or having them write to me asking when the next installment is coming out because they can't wait, to me is the definition of success. Readers have connected with the story and characters I have created, which is what I set out to do. Got your eye on Diversion or Collusion audio books? How about Duet or Highway Man? Until December 13 Audible members can get up to 70% off audio books. It's been a while since I've posted as part of my "What's in a Word?" series, but a few recent conversations with my crit partners inspired this post. We were discussing how to successfully introduce a large cast of characters without throwing them at the reader all at once with brief explanations of who they are. Explanations the reader might not remember by the next time we see this person, five or six chapters later. Imagine you are going to a party where you don't know anyone. Scene one: Your host meets you at the door, blurts his name, then drags you around the room, saying, "Oh, this is Jane. She's Sue's next door neighbor. That's Sue. She owns a dog-walking service. That's Bill, he has four dogs, but he doesn't use Sue's service, he uses Jim's..."
Get the idea? How many of you have found yourself in just such a situation? Did you remember a single person five minutes past introductions? Especially if you never interacted with them again? Now, scenario two: When you arrive, your host introduces him or herself, welcomes you warmly, and eases you into the environment. He or she will show you around, just what you need to know right now, get you a drink, and tell you a little bit about themselves, get to know you. You're now enmeshed in the setting. Next, they'll introduce you to the next most important person there: their partner. Could be a business partner, could be a romantic interest. You come to understand a lot about the partner by how fondly, or not, your host speaks of them. There, now you know the two key players in the game, and hopefully, a bit about what's going on and why you were invited. Are you there to meet coworkers? Is this a social event like a birthday party? Setting, characters, purpose have now been named. Only when you have grasped these basics does your host show you around. First you meet Barbara, and engage in a conversation. Oh! Barbara went to the same university! Cool. You chat a few moments about what you have in common. You remember Barbara's name, and associate her with your alma mater. Next you meet Brian, who has the cutest Southern accent. You chat for a few minutes, you enthralled by his charm, and he laughing at your sense of humor. Not only are you more likely to remember these to people when you meet again, you will eagerly anticipate that moment. And that, folks, is how someone with my somewhat less than stellar memory likes to meet the characters in a book. If you throw them at me all at once, I'm not going to know who is important and who isn't. If you call her "Mary Jean Simmons", the appearance of her full name says, "Remember her, she's important!" Well, then you try to commit her to memory, totally skipping past, "the man in the red sweater", who turns out to be the catalyst for the whole story. In story setup, like real life, the most important details should come first. Now, if the guy in the red sweater turns out to be the killer, who shall remain unnamed until the right moment, it's great when he's woven into the plot, not enough to give away the big reveal, but enough so that when the "A-ha!" moment comes, the reader can look back over the story and piece together the clues. Nothing is more satisfying for a reader to reach then end and triumphantly say, "I knew it was him!" Especially if they had to work for that conclusion, but it made total sense in the end. In the very first installment we meet Miki St. John, the lone survivor of the car crash that claimed the lives of his Sinner's Gin band mates. He's living a half-life, barely existing, and is only holding on for the scrappy terrier (and furry little scene-stealer) who's decided Miki is home. Throughout the series we get to know more people, hear more POVs, but the entire series arc encompasses both Miki's band(s), it's members, and a large boisterous family of Irish descent. The Morgan's provide the comfort and security missing from his own past, and like any too-good thing, he's suspicious, waiting for the other shoe to fall, feeling he's not good enough for love. My heart broke time and time again for this haunted, world-weary-yet-young man. He wears his pain as a shield from the world, was never taught how to love, to be loved, or even to be touched without ill intent. Slowly, slowly his story unravels, and we don't get all of our questions answered until Sin and Tonic, but it's a riveting journey. One thing that make this series really shine is the interactions between the characters, the good-natured bickering amount siblings, whether the siblings one was given or collected along the way. Such awesome dialog that I found myself hitting the back button just to hear a marvel of impressing phrasing again. Each character is so distinct, so real, which is quite an accomplishment with a cast of this size. You make judgments one minute, only to have them turned on their heads the next. But what a ride. My three-hour daily work commute suddenly wasn't long enough as I wished to remain in the car and listen to JUST ONE MORE CHAPTER!!! This isn't a light, fluffy story by any means. There is mention of severe child abuse in some of the characters' pasts. There is also violence, and some of that violence is gruesome as many of the Morgan family are cops in San Francisco and privy to some of the terrible horrors life has to offer. I won't go into the plot of each installment as that might give spoilers, but what I can say is this series was time well spent, gave me a whole lot of new characters to love, and left me with a major case of book hangover. 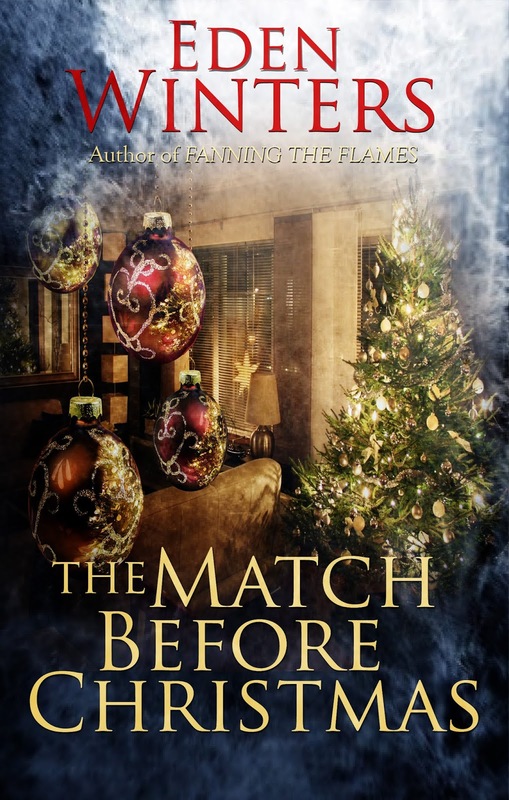 This is an unsolicited review, merely me gushing about a series I love, but I'll still include links to the Audible page and encourage you to enter the world of Miki St. John and Kane Morgan. Former drug trafficker Richmond “Lucky” Lucklighter “died” in the line of duty while working off a 10-year sentence in service to the Southeastern Narcotics Bureau, only to be reborn as Simon “Lucky” Harrison. The newbie he trained, former marine Bo Schollenberger, is now his partner on (and maybe off) the job. It’s hard to tell when Lucky doesn’t understand relationships or have a clue what any sane human is doing in his bed. Bo’s nice to have around, sure, but there’s none of that picking-out-china-together crap for Lucky. When a prescription drug shortage jeopardizes the patients at Rosario Children’s Cancer Center, it pits Bo and Lucky against not only predatory opportunists but also each other. How can they tell who the villains are? The bad guys don’t wear black hats, but they might wear white coats. Check out Collusion on Audible! The holidays are once more upon us, and what better way to get into the spirit than a holiday romance? Candlelight, mistletoe, gaily wrapped packages beneath a trimmed tree, and someone to share it with. That’s all Barry Richards wants for Christmas. Desperate for a traditional holiday, he creates a profile on “GetaDate.com,” in hopes of finding the perfect man in a matter of weeks. One date after another goes sour, while all around him friends are falling in love, and Barry starts to lose faith. 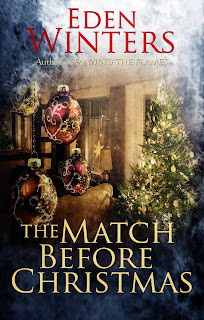 Find The Match Before Christmas at Rocky Ridge Books. Find Tinsel and Frost at Rocky Ridge Books.